Screen acting courses at the Actors Studio  include a one-month diploma, a one-day workshop and a five-day intensive. Many of the classes are taught by director Tim Kent, who covers practical rehearsal methods, technical screen craft and immersive acting techniques. The Arden School of Theatre  is based in the heart of Manchester, home to Red Production Company, ITV and the BBC. 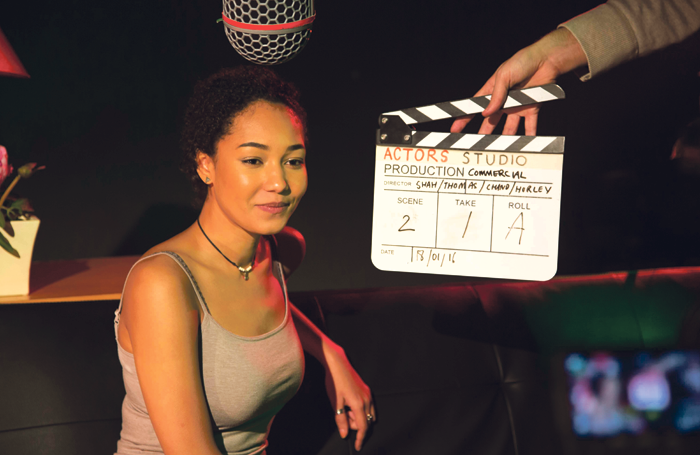 The school offers one of the few BA (hons) available in acting for screen: its BA in Acting for Live and Recorded Media, recently accredited by Spotlight and Equity. The school requires a screen test as part of the audition process, as well as traditional monologues. Royal Central School of Speech and Drama  offers a dedicated MA in Acting for Screen. The course focuses on acting in film, television and screen-related media, primarily for those with previous training or professional experience. The University of Chichester offers a dedicated BA in Acting for Film . Ellen Constable, who is in her third year, will be in the first year to graduate from this relatively new course. She says: “A lot of our studies focus on adapting and tailoring performances for camera. So alongside the standard acting technique and method, and the vocal and physical training that are offered on most acting courses, we look inclusively at working for the camera, reducing a performance to its simplest truth. The National Youth Theatre  offers a six-day masterclass in screen acting. The course is open to non-NYT members and no audition is required, but you need to be aged between 15 and 25 to participate. It’s a three-day intensive course (10 hours a day) and places are still available in May for McKee’s London leg of the world tour. There is a 20% discount for actors with Equity cards. When it comes to training for the screen, New York and Los Angeles have a huge amount on offer. The Michelle Danner Acting School  offers short and long-term acting Intensives for international actors, and through the M1 visa international actors are able to study and work in Santa Monica, California. The intensive courses are an opportunity to explore the acting scene in Hollywood and can range from eight weeks to 12 months. The varied-level classes can be customised to meet specific needs and goals. Danner was voted favourite acting coach by readers of entertainment magazine Backstage and has coached Oscar-winning actors. The Michelle Danner Acting Studio’s philosophy is that artists can draw upon all different acting techniques (Meisner, Lee Strasberg’s Method, Stella Adler, Stanislavski’s System, Uta Hagen, and the Chekhov technique) and form an individual toolbox of their own: The Golden Box.